Karbon keeps track of unsent emails automatically, adding them to the drafts section. 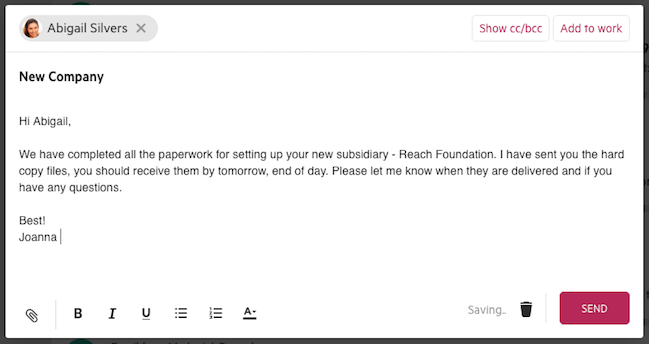 Draft emails are automatically saved when composing a reply on timelines or triage within an email conversation and in the draft section. Any emails created from global add will be saved to this draft section. In the side navigation bar there is a place where you can view all your drafts.